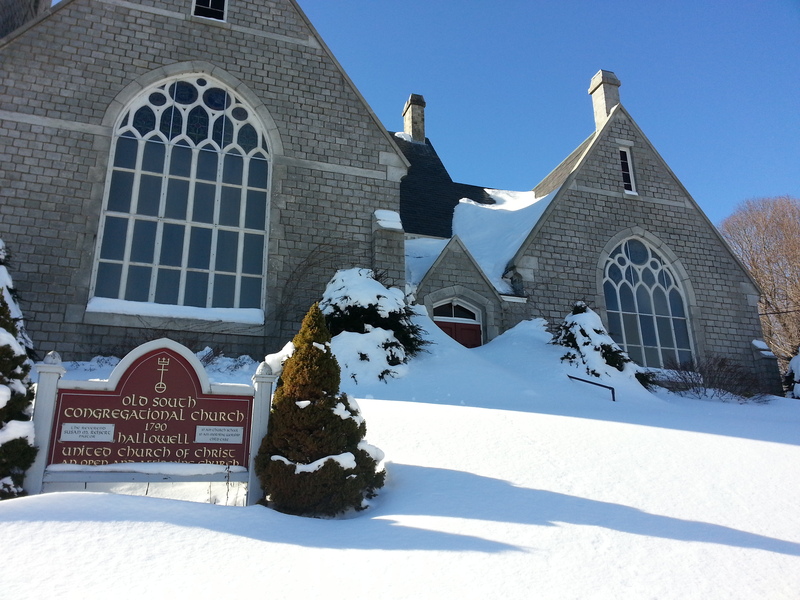 it’s almost overwhelming to think about the difficulties of starting a church in the midst of winter in Maine. At a recent Sunday worship service, someone quipped, “If there’s one time of year when you really need God, this is it.” That is certainly true. When the wind is howling, the snow is blowing, the cold is so biting and brutal and you can’t even remember the last time the temperature outside went above 30, the warmth of the Spirit and the warmth of the gathering of followers of Christ are especially meaningful. We are taking special notice of our anniversary with “faith stories” offered during worship. In these faith stories, several long-time church members share their own history with Old South. While this month is certainly celebratory, there’s an element to our anniversary that taps into my “worrying place,” an element that has highlighted one of the greatest challenges to being the church in these days, and how to think about the church of the future—and not the far away kind, but the relatively near future. In observing our anniversary, I’ve strongly encouraged those who are offering a faith story, to focus on faith and their connection to the church. I want to hear more about meaning than history lecture. What is that keeps them connected to this church, and what has it meant to them as they have weathered the storms, as well as the joys, of this earthly life? Not surprisingly, perhaps, but in this church where the average age is probably around 70, to talk about church and God is to talk about the building, the bricks and mortar, the walls, the roof, etc. That is where the meaning is. It’s in the actual, physical structure of the church building. Faith can be found in the nurture and care of the building—in the repair of the leaky roof, in the painting of the walls, in the replacement of worn out furnaces, and so on. The problem, of course, is this is not what makes sense to anyone younger than, say, forty. Even for myself, just a hair over the age of fifty and at the very tenuous edge of the baby boom generation, while church buildings are special to me, I don’t actually find in the building itself my connection to faith. A church sanctuary may inspire me to be in awe of the divine, but it doesn’t, in and of itself, fill me with a sense of belonging to my Creator. So we find ourselves in a tricky place. Maine is the oldest state in the country. The “Builders” and the way they view and experience the world is very much a part of church life, as well as other facets of life. But, what kind of future is this “building-focused” faith ushering in? And, what kind of future should a church try to envision when the demographics suggest that the only growing age group is that of retirees? While I am honestly deeply moved by the stories of long-time church members, their commitment and efforts to keep this church—including its building—up and running, I can’t help but worry about what these efforts have wrought. Will this church be able to broaden its understanding of faith, to make room for other expressions of faith and faithfulness? Or, will we enjoy enough of a steady stream of retirees, that we won’t need to worry, at least for a while, about changing our ways? In reading some of the history of this old, old church, I am reminded that the people of God have weathered many storms, and have managed not only to live through, but even to thrive in the coldest and snowiest of winters (and many of them without fleece!). The challenge seems always to have been, as it continues to be, to appreciate that this church is not simply about the walls that protect us from the cold, but about the gathering of the people inside, and the acknowledgement of and the engagement with the Holy Spirit who gathers with us and inspires us, always, to be more than we think we can be.